Microwave : White cabinet, black door. Dimensions : 32 litre capacity and a 345mm turntable. 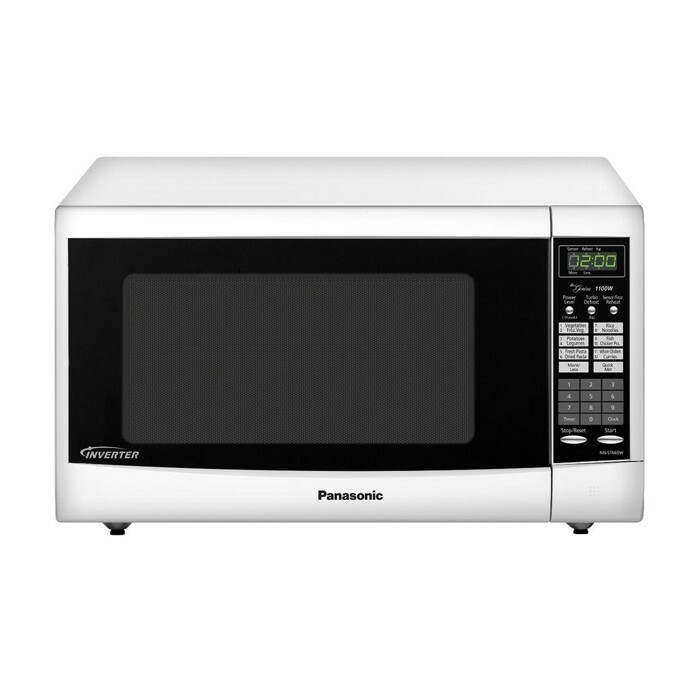 Features : 1100 Watts, One-touch sensor reheat, inverter turbo defrost and easy touchpad operation.